The nationwide movement comes exactly a month after a gunman killed 17 people when he opened fire on Marjory Stoneman Douglas High School in Florida. Students in Southern California joined a nationwide walkout Wednesday to honor the 17 victims killed one month ago in a Florida high school shooting and voice their demands for action against gun violence. Exactly a month after the Parkland, Florida school shooting, the walkouts were expected to last 17 minutes – each minute to represent one victim who died in the massacre. The coordinated nationwide movement was organized by Empower, the same youth organization of the Women’s March. The walkouts mark the largest demonstration of student activism that was sparked by the shooting at Marjory Stoneman Douglas High School. Participants are asked to wear orange to signify their solidarity with the movement. 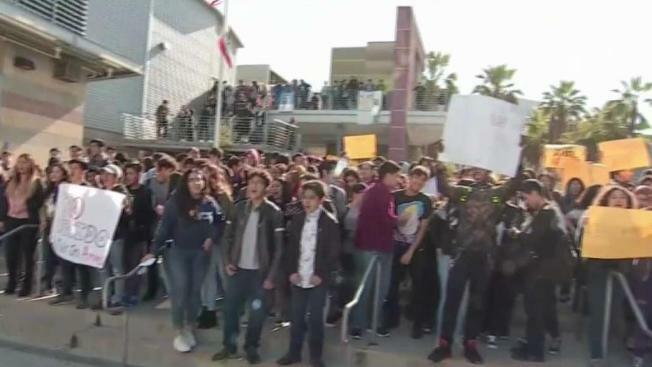 Several Southern California schools participated, while some school districts have asked their students to remain on campus and instead take part in a classroom walkout. 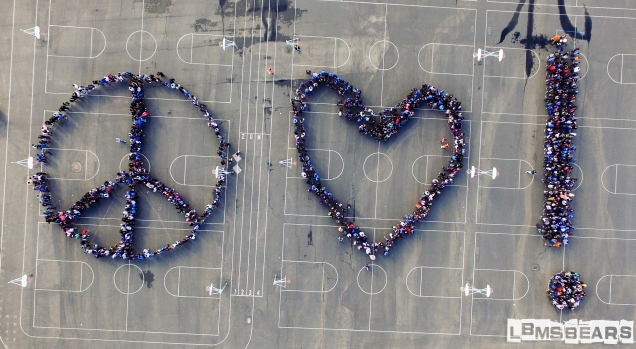 In Granada Hills, students walked onto the football field and spelled out the word "ENOUGH," a visual message to urge action against gun violence. Other students held up signs with letters that spelled out "#NEVER AGAIN." Students in Mid-City could be seen marching outside the school and carrying signs urging action to improve school safety. LAUSD officials said events were organized at several campuses. At Carson High School, orange-clad students walked from classrooms to the campus quad and hold a 17-minute sit-in featuring speeches from select students. At Eagle Rock Junior/Senior High School, students conducted a silent remembrance that featured 17 chairs bearing the names of the Parkland shooting victims. Students at the Miguel Contreras Learning Complex hosted a news conference demanding a ban on assault weapons and universal background checks as well as host a student-organized protest. The students at Don Antonio Lugo High School expressed their thoughts on a large card in the school courtyard. Video broadcast on the NBC4 News at 11 a.m. on Wednesday March 14, 2018. The Los Angeles Police Department issued a statement, encouraging students "to express themselves" but noting "it is imperative students do it in a manner that is respectful to fellow classmates and Los Angeles residents, as well as remain on their respective campuses during the demonstration." 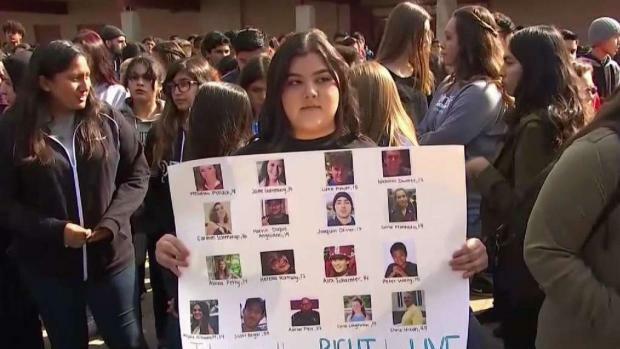 Los Angeles Unified School District Interim Superintendent Vivian Ekchian said last month she encourages students and schools to take part in "on-campus activities" to mark the anniversary of the shooting. But she urged parents to "talk to their children and encourage them not to leave campus."